Cape Town - National First Division challengers Black Leopards and Vasco Da Gama will fight for a place in the semi-finals of the Nedbank Cup when they meet at Thohoyandou Stadium. The meeting ensures that at least one NFD side will appear in the last four of the Nedbank Cup this year, keeping up the tournament’s reputation as one in which the so-called ‘smaller’ teams are able to compete on an equal footing with the heavyweights. The best example of this was Leopards eliminating Kaizer Chiefs in the previous round. The Limpopo side caused the biggest shock of this year’s Nedbank Cup thanks to goals from Morgan Shivambu and Roggert Nyundu. This followed on from their respective 6-2 and 3-1 victories over FC Cape Town and Witbank Spurs earlier in the competition. 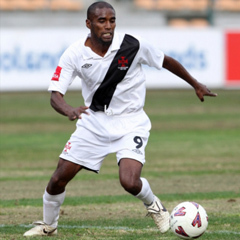 Lidoda Duvha famously reached the 2011 Nedbank Cup final as a NFD side (they were beaten to the trophy by Orlando Pirates) and will be aiming to repeat that feat this year. Standing in their way is a Vasco Da Gama side that has beaten Highlands Park (2-0), Winners Park (3-2 after extra time) and Maulti FET College (3-0) to earn their place in the quarterfinals. This will be the teams’ second Nedbank Cup meeting, as they clashed in the quarterfinals of the 2011 edition. On that occasion, Leopards claimed a 3-2 home win after extra time. Grant Lungu scored the decisive goal right at the death to prevent the game going to penalties. The teams met as recently as last month in the NFD, with Leopards winning 1-0 at home thanks to a goal from Nyundu. That victory completed a league ‘double’ for the Limpopo side over Vasco this season, as they also claimed a 2-0 win in Cape Town in October last year.